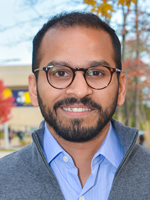 Akash Chattopadhyay is an Assistant Professor of Accounting at the University of Toronto. He is interested in understanding the role of firm-level information in corporate governance and asset pricing. Before joining the University of Toronto, he was a doctoral student at Harvard Business School. Before moving to academia, Akash spent three years working as an equity analyst at Merrill Lynch and IIFL Capital. In these roles, he was responsible for analyzing and valuing firms in a variety of industries with the purpose of generating investment recommendations for institutional investors.